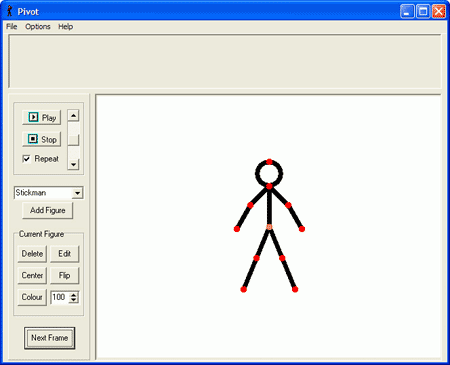 Pivot Stickfigure Animator is a portable tool that can be used to create simple stick figure animations. These animations can then be saved as animated gifs. Some basic stick figure animations are included to help get you started using Pivot. This tool can be run directly from a portable USB flash drive.